I felt that this product didn’t work as promised, it simply deodorised my carpet and gave it a fresh smell for the following 3 days. Stains were still visible unfortunately. I tried this product and it didn’t work. I tried it on my rugs and didn’t work. I had a brand new Dyson vacuum cleaner so this wasn’t the issue. I used this in combination with another carpet cleaner recently when our cat used the hallway as a bathroom. It made the carpet smell a bit better but not the same as carpet shampooing. 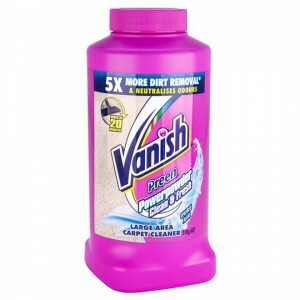 How would you rate Vanish Preen Floor Carpet Cleaner Power Powder?